Geeklings, pressed for time today so I thought that I’d share my latest Pull List from over at Fan Fest over here. Gives you something to read and it allows me to tell you about comics. It’s kind of the best of both worlds. I’ll be back tomorrow with newer content. In the meantime, read comics enjoy your Wednesday properly. Geeklings, a very Happy New Comic Book Day to you all. How is this particular Wednesday finding you? Hopefully inside your local comic book shop or in front of the Comixology app with a pile of comics to read. 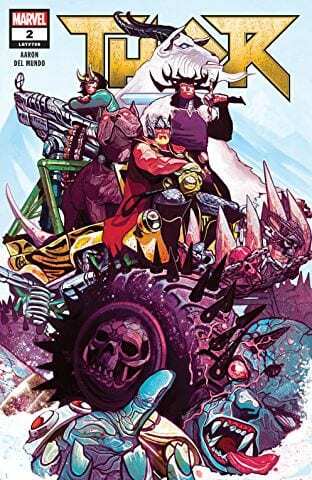 Update from last week, I have finished Jason Aaron’s most incredible Mighty Thor series and am now in the process of catching up on comics I had been slacking on. Like last week’s Batman #49 which focused on the Joker and Catwoman. Holy crap was that some issue! One of the best single issues I’ve read all year that didn’t involve a Thor or a New God. I’ve got a lot of work to do in order to catch up but is it really “work” when you’re reading comics? Hell no! That’s the best part of the day, and with The Mighty Thor all binged and nestling in my heart I can move on to some other graphic novels like The Walking Dead, Star Wars, and Deadly Class which I’ve been neglecting since I’ve consumed all things Jane Foster. With that being said, there are more comics to add to the ever-growing pile of things to read because today is Wednesday and with Wednesday comes new comics. Now sit back, relax, and get ready for me to throw some awesome comics in your general direction. 1. Sentry #1– If you think about it, Marvel never really had a character that was on the same level as Superman. Sure Captain America kind of fits that mold but he can’t fly, and while he’s super strong he still has limits. Marvel’s answer to Man of Steel was the Sentry, and they tried to force him into every Avengers book they could in the early 2000’s. Unlike Superman, the Sentry is crazy and brings with him a dark/dual personality called the Void which is all types of evil. These two sides battle for control which often results in the Sentry going all types of crazy. You ever wonder what it would be like seeing someone like Superman become a bag of cats? This is the character for you then! 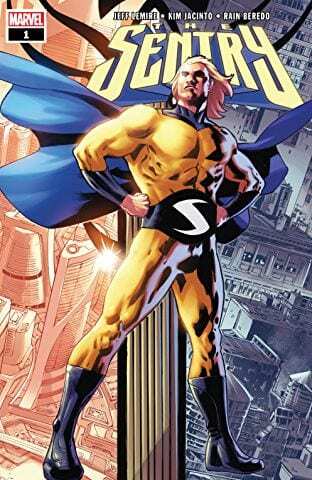 Sentry has been missing for a while (I want to say he was ripped in half during the Siege event or maybe something happened with the sun… I don’t remember) but he’s making his dramatic return to the pages of Marvel Comics with a brand new solo series. This book also signifies the return of Jeff Lemire to Marvel and that alone is exciting. I’m all for a crazy superhero with the capabilities of Superman but maybe with this return, there can be less overexposure. Needless to say, it’ll be fun to see Lemire play with the character as we know he does crazy well (see Moon Knight series for further evidence). 2. 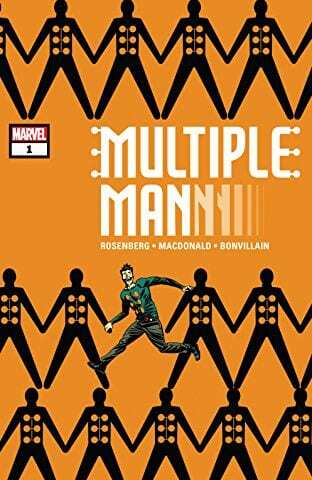 Multiple Man #1– Not too long ago it was announced that Fox would be doing an R rated Multiple Man movie starring James Franco, and I kind of acknowledged it but then moved on with my life. With Disney’s acquisition of Fox who knows what is going to happen to the X-Men franchise which could leave the Multiple Man movie on the cutting room floor. If you find that to be disappointing, don’t worry! 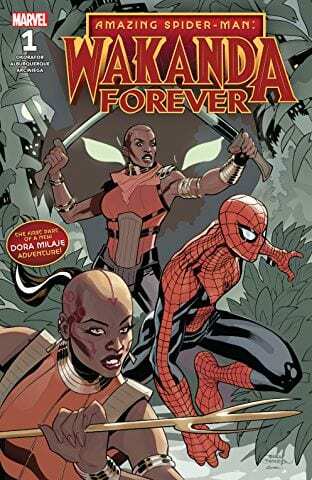 Marvel has you covered with a brand new mini-series. I honestly don’t know a whole bunch about Multiple Man other than the fact that he can multiply himself and he was recently dead… but this is my favorite cover of the week and there has been a resurgence in Marvel’s X-Men franchise so I’m curious to check out what’s going on here. 3. 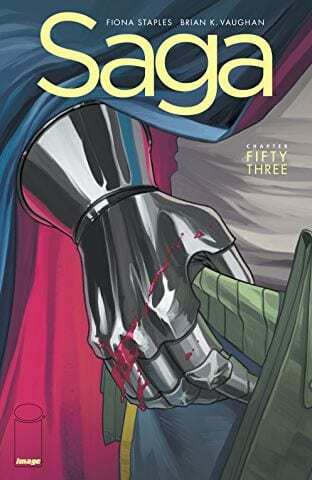 Saga #53- Image literally has the write up on this book as “Uh-oh”. Seriously. That’s all it says. If you’re a Saga fan then that is enough to make you pick this book up immediately. If you’re not a Saga fan (yet) then I’m sure you’re left a little puzzled. My suggestion, go pick up the first trade and gets reading. 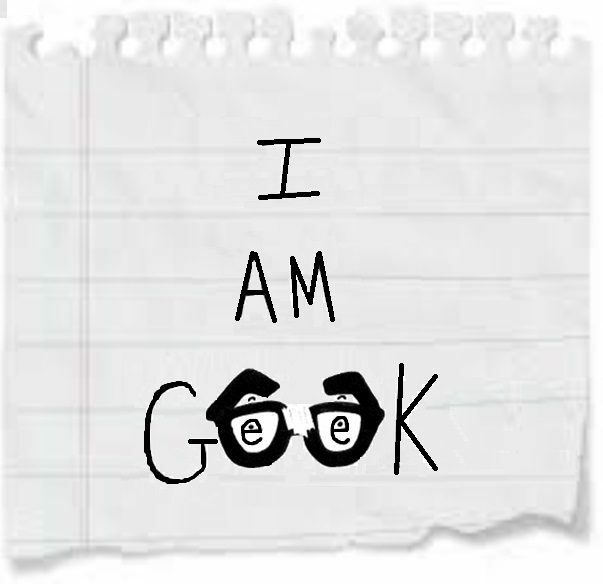 Then find me on Twitter (@iamgeek32) and thank me. After that, we can talk Saga for days. 4. 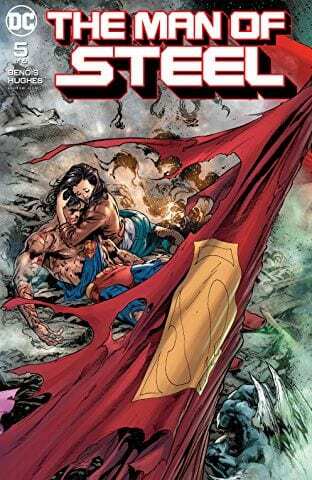 Man of Steel #5- Can you believe that this is already Brian Michael Bendis’s fifth issue of Superman? It feels like just yesterday he was writing Invincible Iron Man. I still haven’t really made the adjustment to him being a DC writer now but I’m a fan of the guy so you know I’m going to follow him anywhere he goes. 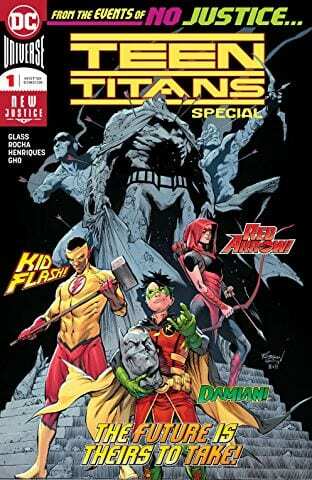 My first thought on this issue is how the cover reminds me of the Death of Superman... like, a lot. My second thought is five issues in and Bendis is continuing to alter the state of Superman’s status quo. What lies in store for the Man of Steel next? I’m not sure but things aren’t looking too good. There you have it Geeklings, all the best books to get your mitts on. As always, if you feel like I’ve left anything off the Pull List be sure to let me know in the comments. If you’re reading something awesome that you want us to know about don’t be shy and share that shiz! If you’d like to talk more comics with yours truly you can find me on Twitter @iamgeek32. Until next week my friends, happy reading and many huzzahs!